Marshes, open river bottoms, and often adjacent disturbed ground. The species is more common in salt marshes of the Atlantic coast, but is locally frequent in southern Michigan and other inland sites. Some records, especially northward and in drier habitats, are escapes from cultivation. 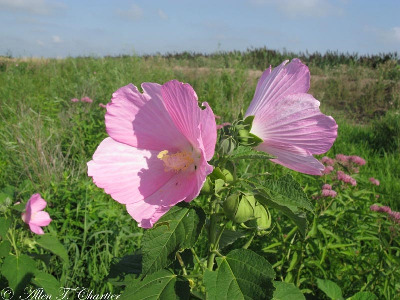 Escapes from cultivated plants have a wide range of flower color, not simply pinkish as in wild plants, and tend to be more compact. MICHIGAN FLORA ONLINE. A. A. Reznicek, E. G. Voss, & B. S. Walters. February 2011. University of Michigan. Web. 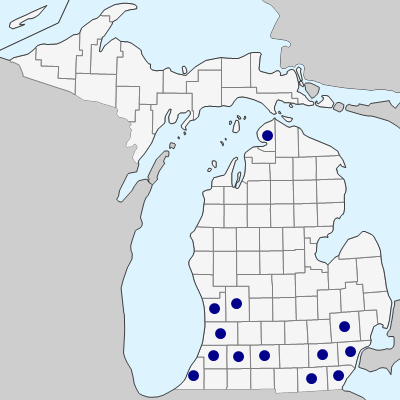 April 24, 2019. https://michiganflora.net/species.aspx?id=1671.